Life is full of ups and downs. We are constantly rediscovering ourselves as we navigate life’s twists and turns. We are the sum of our experiences (good and bad). Everything we’ve gone through in our lives has shaped the person that stares back at us in the mirror every morning. Who I was last year this time and who I am today are two very different people. I’m not the same physically, mentally, emotionally or spiritually—everything has changed. I had grown to love who I was. 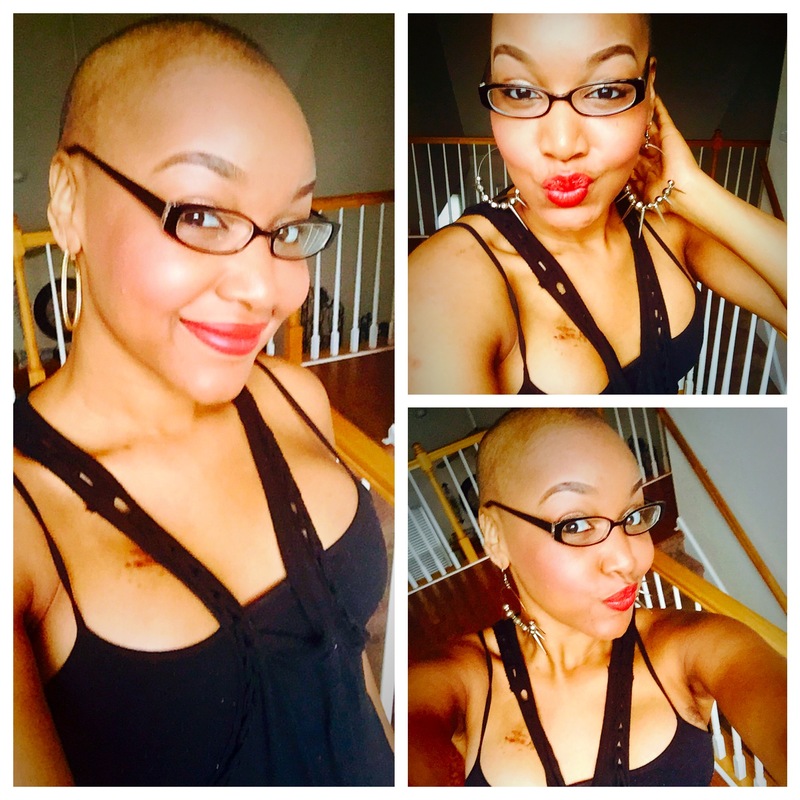 The young woman I was before breast cancer was one who had already endured a lot. Prior to being diagnosed, I had just undergone surgery for my elbow (yes elbow of all things). I had undergone weeks of physical therapy and been told that I would probably never be able to turn my hand “palm up” again and still I was ok. Sure, surgery had left scars, but I was ok. The young woman I was before being diagnosed was one who had dealt with emotional scars. I had been married, gotten divorced and became a single parent of two boys. I had packed up my life in North Carolina, to move to Louisiana just to end up back in NC starting all over again. I had overcome it. It wasn’t easy, but I was ok. The wounds healed, I still loved me. I realized I was so much stronger than I had previously thought. So many ups and downs, yet I was still able to look myself in the mirror and love who I had become. I looked at deep purple scars from needles and surgeries. It was hard to look at the scars that outlined where the surgeon had removed my breasts. I’m sure I cried more than I had ever cried in my life. I hated looking in the mirror. Breast cancer robbed me. To lose my hair, my breasts and have my doctor “strongly suggest” that I have my ovaries removed just felt like being stripped of my womanhood. I had to learn how to love myself again during a time when I was hard to love. I had to learn how to love myself at my absolute worst. The steroid I was taking with my chemo had made my face puffy and swollen. I didn’t like what I saw in the mirror. My sweet Jaylen. He helped me snap out of the funk I was in. He forced me to really take a closer look in the mirror. That day was the last day I wore a wig. The more I went out without my wig, I felt empowered. I was proud of myself for going without it. My family was proud of me for finally going without it. I had to learn how to love myself all over again. I have never loved myself more as I do now because I fought to become who I am. I can walk with my head held high because I survived. I have grown to love my “survivor cut” and my scars don’t bother me, they’re just constant reminders that I survived. I could never go back to being the person I was a year ago and I’m ok with that. I love who I’ve become.